Click Here to Learn More About Mathews Family Pricing! Welcome to Mathews Nissan of Paris! Thank you for taking the time to discover more about our local Nissan dealership. We are proud to carry the complete lineup of new Nissan models for sale. We also offer reliable auto repair and exciting lease deals on new models. We invite car buyers from Dallas and Bonham to visit our convenient location. Our dealership is designed to provide drivers from Paris, Texas and beyond to enjoy a comprehensive selection of Nissan cars, trucks, and crossovers. Are you in the market for a new full-size sedan? Take a ride in the new Nissan Altima and discover whey the Altima beats the Corolla in a head-to-head comparison. We have the color and trim combinations you're hoping to find. Maybe you need a new crossover to keep up with your active lifestyle and transport your weekend adventures. If that is the case, climb into a new Nissan Rogue crossover. Is a heavy-duty truck the answer? Climb into the cabin of the new Titan XD. 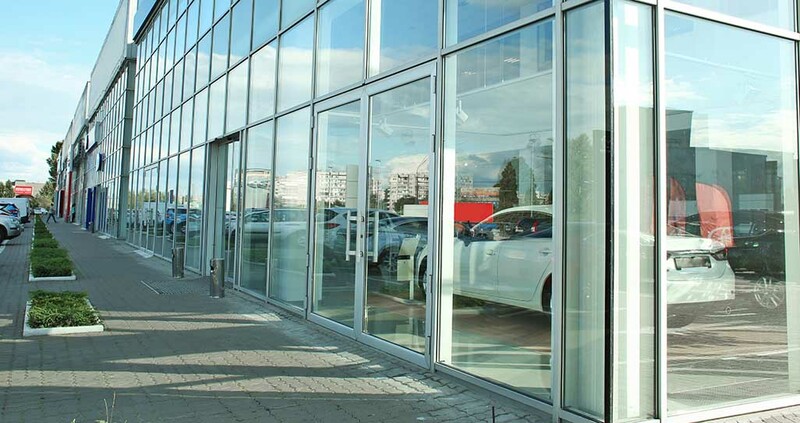 Whatever your automotive needs are, you'll find what you want at Mathews Nissan of Paris. Whether you are shopping for new or shopping used, we have something for all drivers and budgets. Along with offering the latest Nissan models, we stock our used car lot with a wide array of pre-owned models. We carry used Nissan sedans along with used trucks and SUVs from a selection of top manufacturers. It is straightforward and simple to lease a new car at Mathews Nissan of Paris. Our sales and finance associates can point out the Nissan lease deals going on now. If you are thinking of financing a new Altima, complete our basic credit application. Our finance associates are ready to work hard to secure favorable financing terms. If you are comparison shopping for low down payments, low monthly APRs, and competitive lease deals, you'll find it all at Mathews Nissan of Paris. Are you worried that a less-than-perfect credit score might impact your ability to finance a used car? We want to help. Talk to our finance agents about your credit-challenged financing plans and alternative credit options. When your used Nissan Pathfinder is due for an oil change, our state-of-the-art service department is here for you. Regular auto maintenance is essential. Whether you need a quick brake job or a rapid oil change, the certified technicians at Mathews Nissan of Paris will maintain your Nissan to factory specifications. If you need something simple like a new headlamp bulb or a new set of wiper blades, we have a fully-stocked parts department on-site. Here, you'll find the conventional and synthetic motor oil you need. For many of us, an automobile is one of the most significant purchases we'll make. We are honored that you are considering making that decision at our dealership. When you are ready to make the quick trip from Dallas and Bonham, follow these directions to Mathews Nissan of Paris!